What is SEO and who needs it? 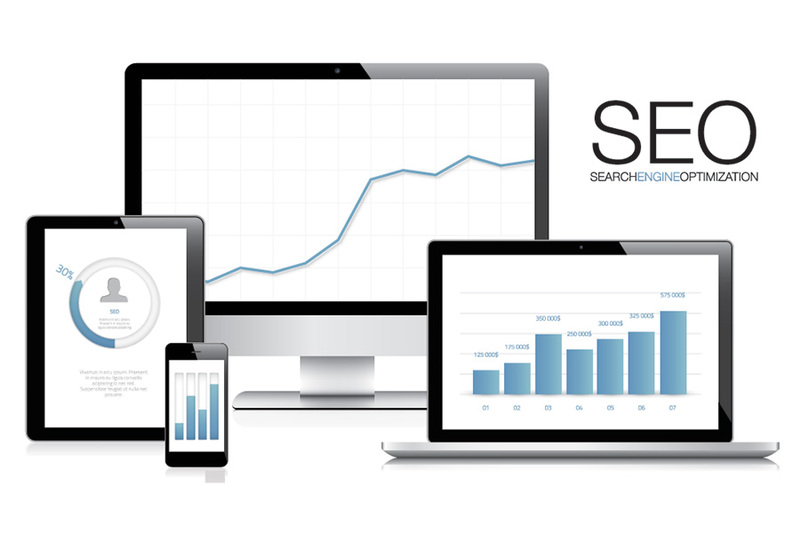 SEO stands for Search Engine Optimisation. Not everyone needs SEO but many businesses do. If you would like customers to find your business online by searching for your services via search engines, such as Google, to increase enquiries or to make more sales, you need SEO. If your website provides a source of information to existing or potential customers, you may not need any SEO. We will provide you with all the information and guidance you'll need to help you understand what is required for your business. Will my website be optimised? Yes! We build all of our websites with all the major search engines in mind - Google, Yahoo and Bing. Your website will be built to the latest standards, providing you with an excellent foundation for SEO. During the build we will also ask your for your keywords/descriptions to build into the website. Getting the right foundation for your website is just as important as the appearance. That's why our developers are always innovating new features to ensure our platform remains one of the best out there for SEO! We also ensure that new standards and techniques are incorporated quickly to maintain speed, ease and ensure it stays up to date with the latest search engines. Can I save myself the cost of on-going SEO and do it myself? Yes! We will teach you to manage the SEO of your website yourself using our very own market-leading Toolkit CMS , saving you the hassle and expense of outsourcing it. You don’t need any technical knowledge or training, just a bit of time and an open mind. Best of all, your SEO will be FREE and our Support is unlimited! We have several additional Google and Social Media setup services that will boost your SEO. If you don’t have the time yourself - see our SEO and Google Services post or our Social Media Setup page. I don't have time and would like to outsource my SEO. Look no further! We can recommend the perfect solution for your website optimisation, with no contract or on-going monthly subscription past the first 4 months (it takes this long to show it's working!). Many of our clients achieve first page Google results with a few simple tweaks and plenty of Passionate Support from our team. Our service and Support will provide you with all the knowledge you need to succeed at SEO of your website, before outsourcing. However, if your competition is rife, an expert SEO service might give you the edge over your competitors. Before outsourcing, it's worth preparing both strategically and financially. Don't expect miracles overnight! This article on Forbes has an impressively large amount of detail about SEO expectations, that might prove useful. You can use the Toolkit to keep your site up to date and to improve your SEO over time. We provide fantastic guides to all existing clients to help them further optimise their websites after the initial optimisation has been carried out during the setup of the website. With our unlimited Passionate Support, we can help you ensure your website is a success! But don't just take our word for it, here are some case studies from a few of our clients who have used the Toolkit to further optimise their websites. UES London started with a great website and further optimised it themselves using the Toolkit and our Support service. Within just a few weeks they were on the first page of Google for nearly all of the exams they tutor for. - Position 1 and 2. Betty Blythe is a vintage tea rooms in London who also offer a vintage tea party catering service and venue. We've designed two versions of their website and it's still going strong. After only doing regular SEO during the build they are found in the top two spots on the first page of Google! Little Heroes is a children's toy shop based in Fulham, London. They never had a website and wanted some presence. With just our standard SEO setup and no further optimisation, they are comfortably on page one on Google! Taylor Made Physio is a specialist sports physiotherapy practice based in Windlesham. The old website was dated and needed a new lease of life, which we were perfectly placed to help with. Through natural results, the website is now found on the first page of Google. We achieved this through simply building a responsive website with all the correct SEO features.